Wayne Rooney and Antonio Conte are among high-profile football stars and managers who have had hair transplants, and with the help of hair transplant Turkey, many others could follow suit if desired. It’s an issue that affects those in the spotlight too, as their appearance off the pitch often gets scrutinised as much as what they achieve on the pitch. With that in mind, both individuals decided to get a transplant procedure, and to be fair to them, it’s evidently worked out well. 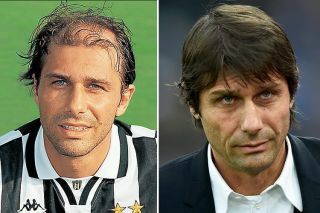 Whether it’s getting that hairline back after years of receding or in Conte’s case, a head-full of hair that the classy Italian had previously lost, these transplants undoubtedly worked for the duo and will probably have got others considering following a similar route. Steve Claridge, Dimitar Berbatov and Kris Boyd are among others who have done so over the years, and so it is seemingly no longer something to be embarrassed about. The results speak for themselves, and with Rooney and Conte being the most high profile in recent times, they certainly don’t seem to be complaining over the difference it has made.